Sold in a pack of 90 labels. Make your PM completion and due dates visible on the machines. Sure, that information is hidden in the maintenance management system. But, labels on the machines serve as a reminder and answers the questions. 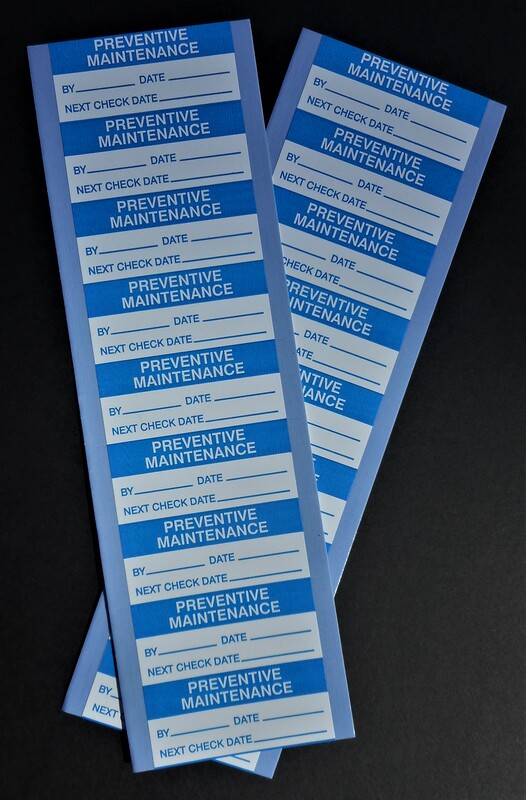 These 1″ x 2 ¼” pre-printed write-on polyester labels use a semi-permanent acrylic adhesive for extra durability.